The Birch River, MB grain elevator, June 2015. Contributed by Steve Boyko. 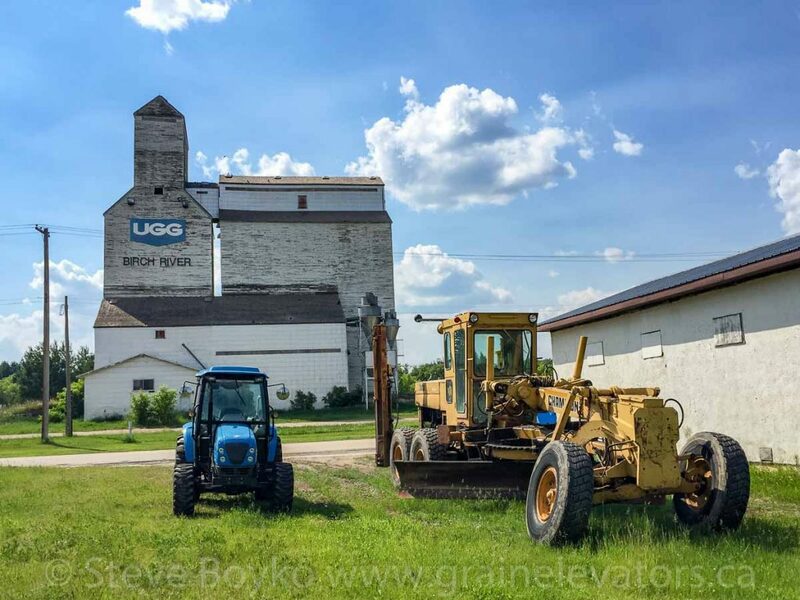 The last Birch River grain elevator was a former UGG elevator. This elevator became the property of the town and was demolished in early March 2018. UGG logo at Birch River, MB, June 2015. Contributed by Steve Boyko. 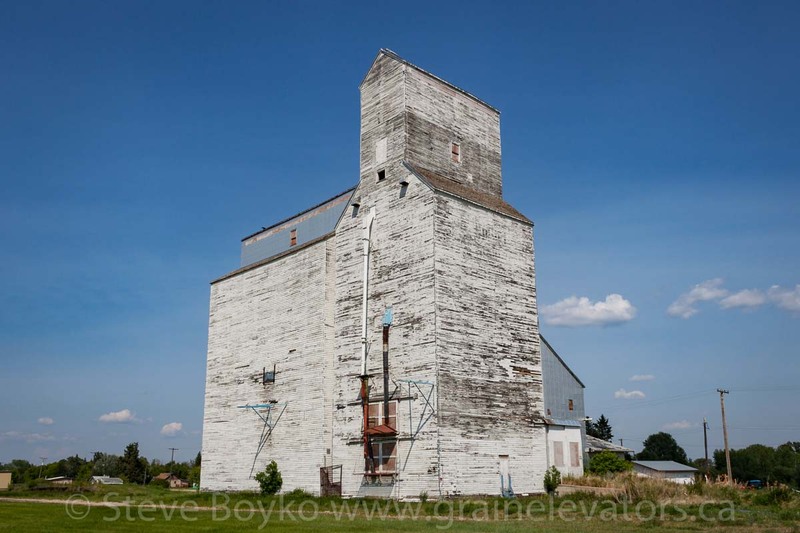 This elevator was the most northern wooden grain elevator remaining in Manitoba. 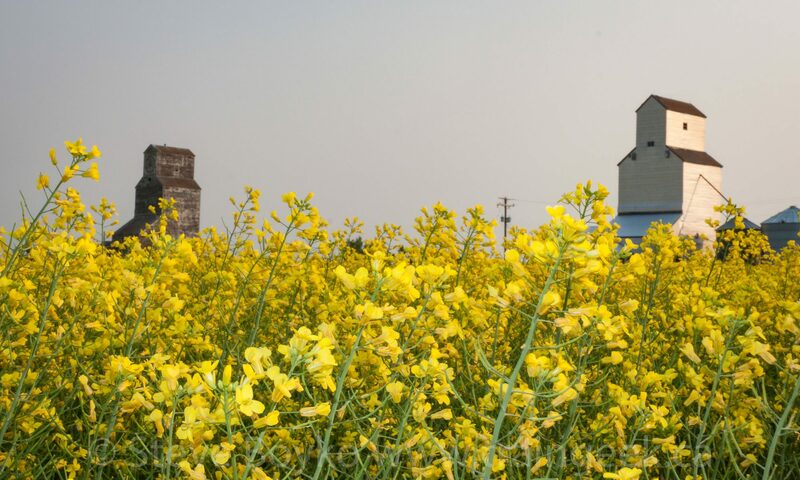 Grain elevator in Birch River, MB, June 2015. Contributed by Steve Boyko. The elevator stood alone by the former railway right-of-way. It used to be on the CN Erwood subdivision. 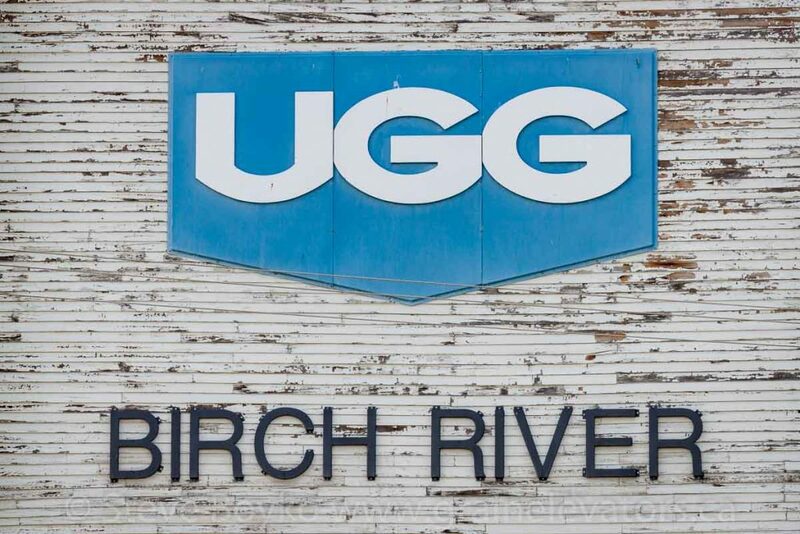 The railway served Birch River until approximately 2000. 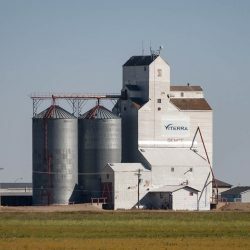 The elevator had a large annex attached and had a capacity of 5,600 tonnes of grain. 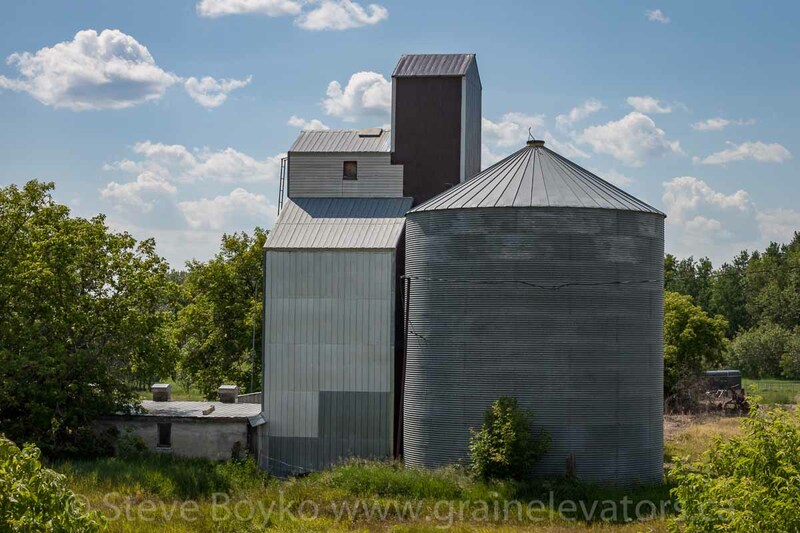 Private elevator between Bowsman and Birch River, MB, June 2015. Contributed by Steve Boyko. There is a small private elevator between Bowsman and Birch River, visible from the highway. No details are known about this elevator.